This intensive face lifting facial Radiofrequency produces deep tissue heating, fats heat up faster than the water when RF is applied to it. Radiofrequency is excellent for control of cellulite and facial lifting treatment! Results from RF treatments are very definite. Several treatments may be required. But once improved, it will stay that way for many months! 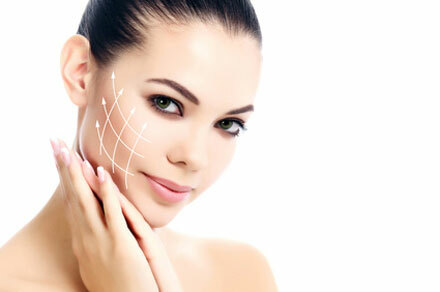 Cryo therapy- Improve circulation, reduces wrinkles & fine lines. Skin tightening and pore refining.